If you’re talking about shirts and you mention the word “template”, chances are people’s eyes will roll. 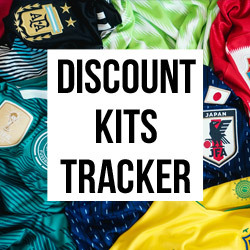 With every year of shirt releases, you can guarantee there’ll be more than a few people bemoaning the fact their favourite team has been given a template shirt, whilst other teams get to enjoy bespoke designs. 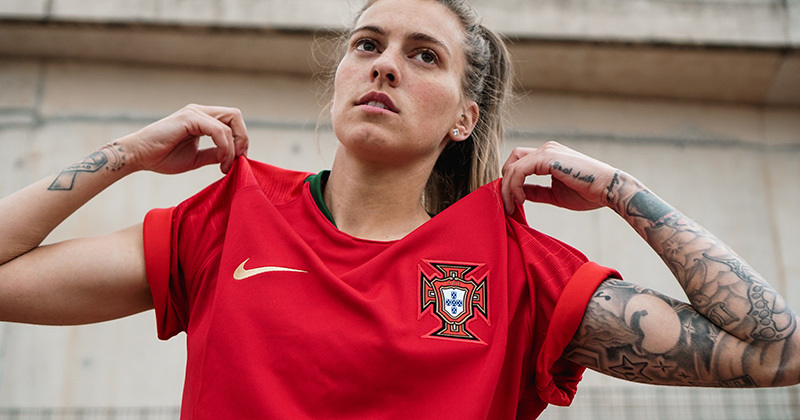 In reality however, some template-based shirts are better than others, and the new Portugal home shirt is an example of a shirt thats works really well with a given template, rather than highlighting the issues with one. Big fan of this gold swoosh. Portugal are European champions, but you wouldn’t know it based on the relatively low-key buildup they’ve had going into the World Cup. 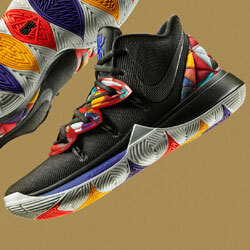 Nike haven’t forgotten though, choosing to honour the victory with a golden swoosh and golden numbering. It’s subtle, much like the approach to the main overall look of the shirt. I’m a fan of the clean approach, particularly when the design looks like it matches the template. In this case, the slightly lighter shade of red on the wave pattern seen on the shoulders (a key feature for all shirts using the new Vaporknit template) actually looks like it was meant to be used in the design. This is in contrast to say, the new France shirt, with the higher contrast of the blue on the shoulders not working as well in my opinion. No messing with the collar. Another simple design choice which I appreciate is the type of collar on the shirt. 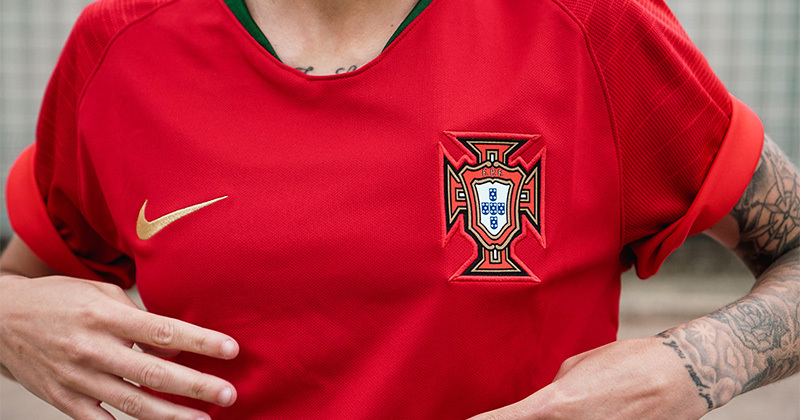 A little scoop neck and no unnecessary button, it’s another positive for Portugal. You only have to look at the new City shirt to see how things can go wrong. 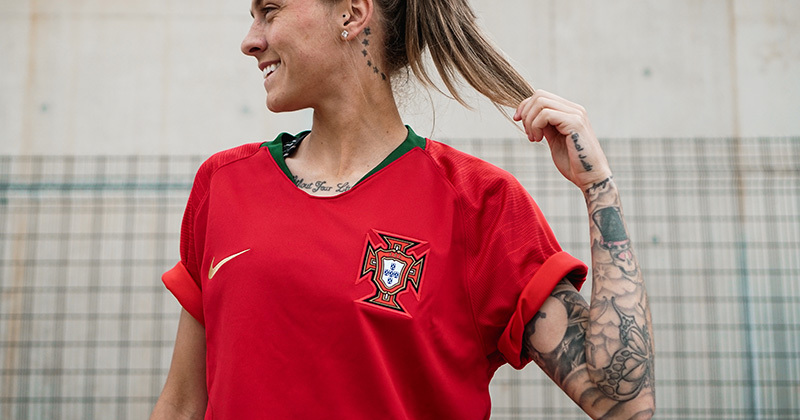 There are some strong finishing touches for the Portugal home, including a naval-inspired graphic on the inside of the of the neck of the shirt. Remind you of anything? 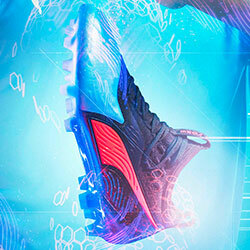 The design bears a striking resemblance to Ronaldo’s logo seen on the CR7 Mercurials. This is a shirt that looks good in the template. 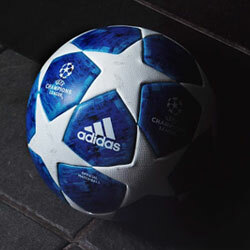 It’s easy to pass over a shirt like Portugal’s, but when you stack it up against the competition it compares favourably. 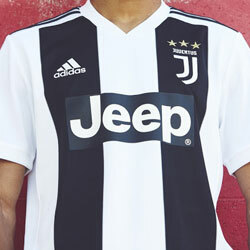 It makes even more sense given the away shirt, which introduces a unique design which complements the simplicity and regality of the home. This is a real step up from their shirts in 2016, whether their performances will go the distance again will be another question. Thank you to Nike.com for kindly supplying us with this shirt to review.